The Crappie Candy is not just an awesome fly for catching crappie on the fly, but is also a favorite pattern for targeting shad on the fly as well. In my version, I omit the marabou tail found on the original and replace it with kip tail. 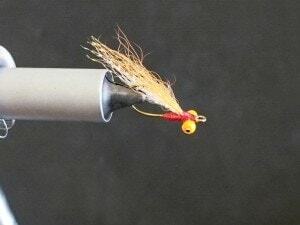 I like to tie it with bead chain eyes as I can fish for shad with it using a polyleader or sink tip line, and if the bite is slow early in the season, I can tie a float on to my leader two or three feet above the fly and work over and around structure for crappie and bluegill. When targeting pan fish with the Crappie Candy, my favorite option is to use the fly as a dropper on a hopper-dropper setup. 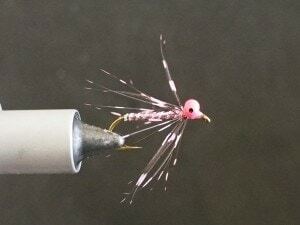 I tie a small, bright colored popper on as my hopper and either swing the tandem rig over or near structure. If you will only be targeting shad with the Crappie Candy and will not be targeting crappie, I would tie this fly pattern with 5/32 hourglass eyes to make sure the fly gets down in the shad’s face quickly. 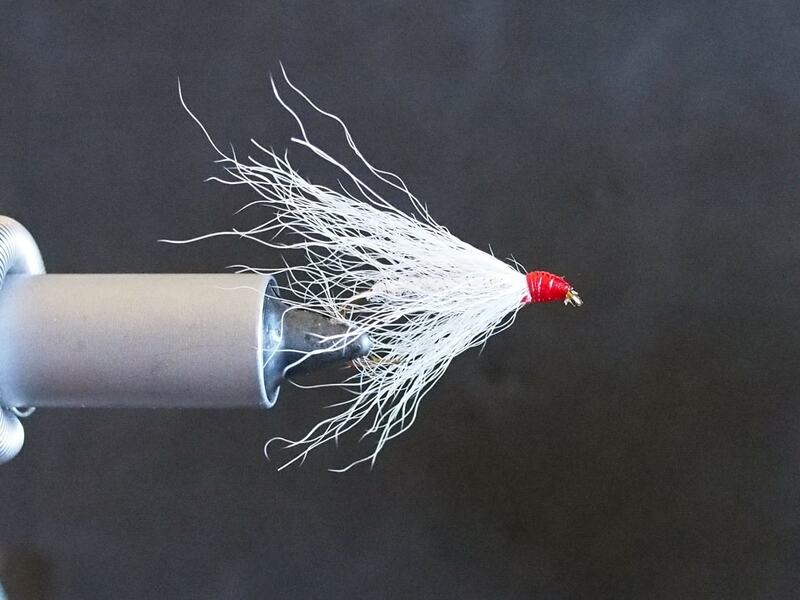 This fly is definitely a St. Johns River Favorite shad fly. I like to tie this pattern in orange, pink, yellow, and chartreuse. The tail can be tied in to match the color of the body as well. However, keep the throat white as that simulates the light underside of most minnows. 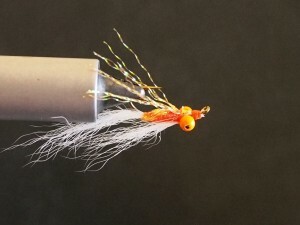 The St. Johns High Tie Minnow is an excellent shad fly pattern to target shad on the fly in the St. Johns River. It is tied with bead chain eyes so the fly rides hook tip up, which keeps it from hanging up in the grass or muscle beds. This makes this shad fly a St. Johns River Favorite. 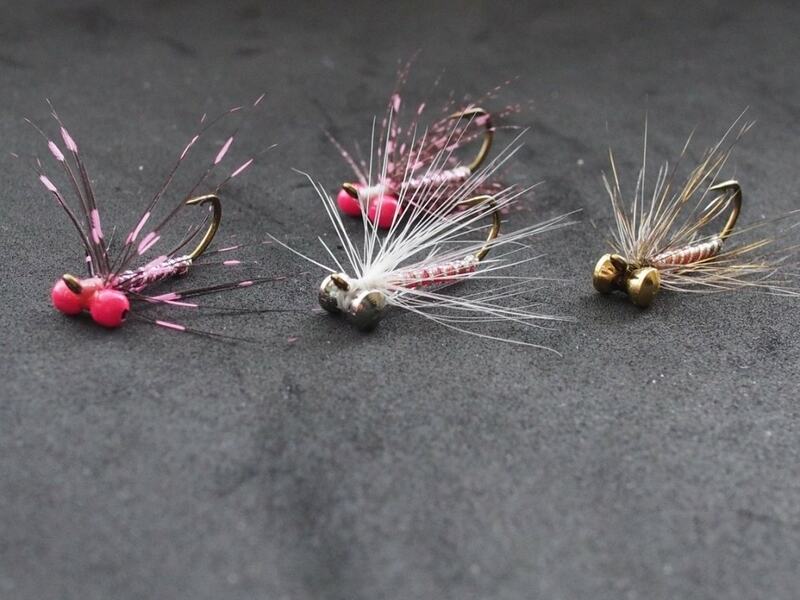 As the name tells, the wing is tied in “high tie” style which presents the fly to the shad in a slightly different way to other minnow patterns. I believe the aggressive posture of the high tie wing makes this fly pattern look more like a small baitfish or shrimp diving for bottom to avoid danger. It is particularly successful at taking shad when fished near bottom using a sink tip line or polyleader, where it bounces through cover looking for a place to hide. While I tend to use a figure-of-eight retrieve with most shad flies, I will mix it up when fishing this fly and use some quick, short strips to help add to the illusion of bait looking for cover. In addition to being a great fly for shad on the St. Johns River, it has also taken quite a few other species. Panfish such as crappie, bluegill, and sunfish of all types have been caught using the St. John’s High Tie Minnow. I have also taken smaller 1-2 pound bass in good numbers. 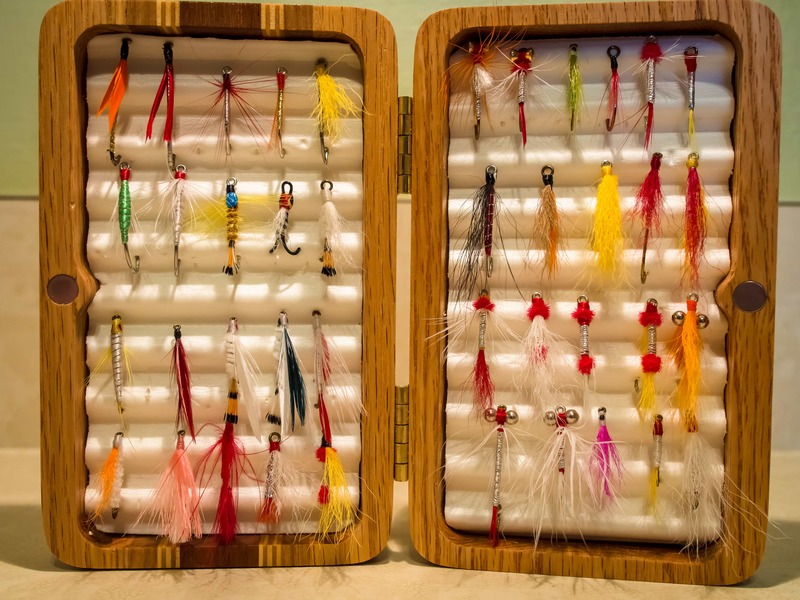 Most of these species have been caught on this pattern when fishing higher in the water column by using the fly without a sink tip or polyleader. I have also caught small gar and decent size catfish using it. Note: Be sure to build a small bump of thread before tying in the wings as well as making thread wraps behind the wings once tied in to ensure it stands up and stays there. My favorite colors are orange over white and pink over white.